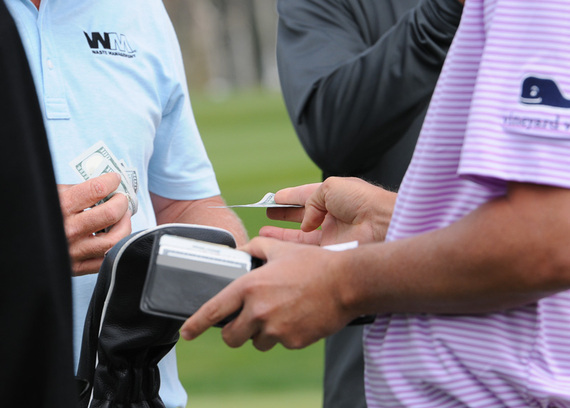 Golf is a very fickle sport. An extra shot here, an extra shot there and BOOM -- you lose. 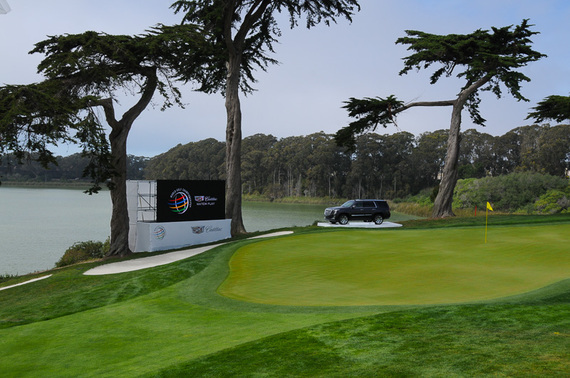 Most of the best golfers in the world congregated at TPC Harding Park in San Francisco for the Cadillac Match Play event this week to try to avoid giving away those extra shots in this unusual 5-day tournament. 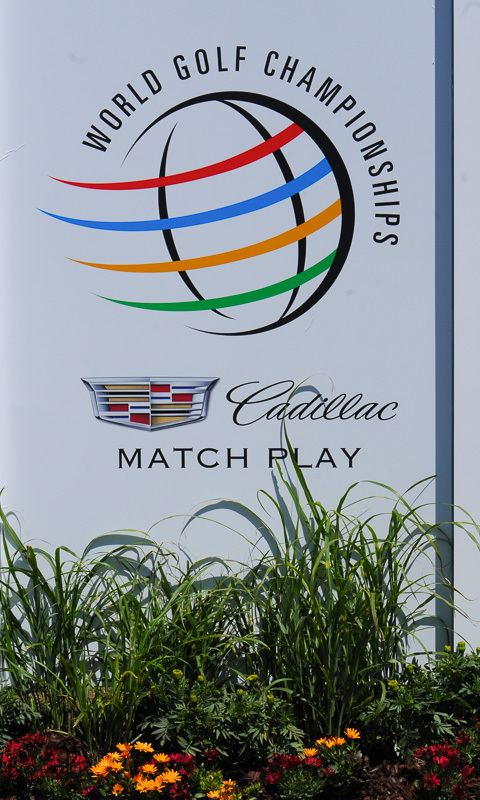 I attended the practice round on a balmy, as nice as it gets out here, day to check out the scene with an old friend. Amazingly, the very first guy we see is Masters champion and phenom Jordan Speith. Dressed in a bold salmon shirt, he is clearly new to being "the man" and navigating the few onlookers who want his autograph on their hat, banner, whatever. Not particularly tall or strong or anything (except he obviously has a great short game), he IS the future of golf right now after his dominant win in Augusta earlier this month. 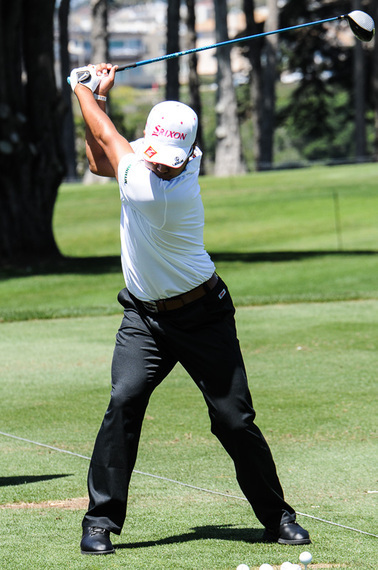 Hideki Matsuyama was very impressive in his ball striking, especially his position at the top of his swing. See my photos below. 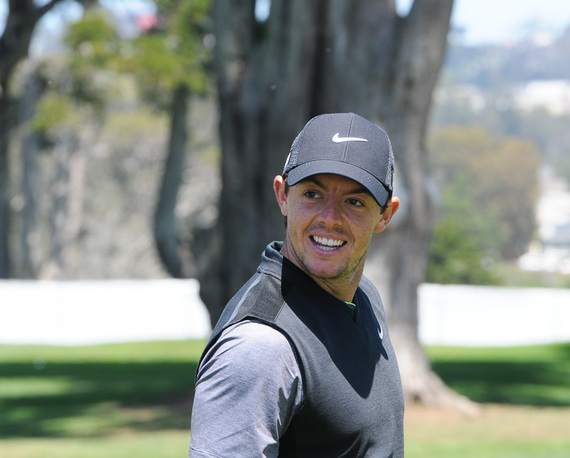 His entourage was busy taking video of his swing throughout his practice. 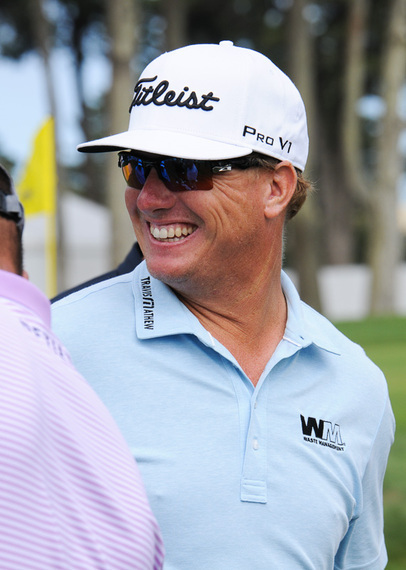 Charlie Hoffman is seen smiling below as well as taking money from Jason Dufner after their match. Dufner has cut his hair and slimmed down measurably. Amazing what a divorce can do to a guy. Adam Scott is pictured also. He almost never left the range the whole afternoon. 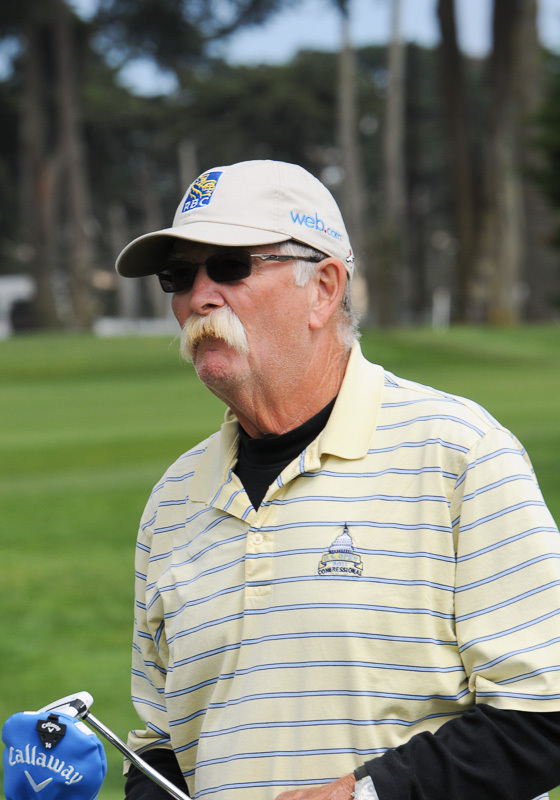 You would think with the trouble he has had changing away from the long putter and then back again, he would be on the putting green more than the range. 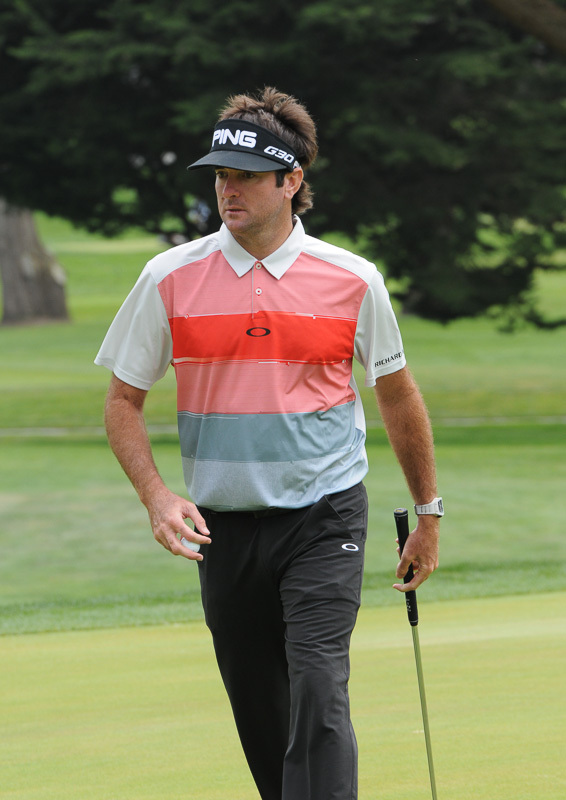 Gotta tell ya -- just being near Bubba Watson was a thrill. The guy was searching for his ball near the ropes where I was standing and just his asking me if I saw his ball made me feel cool and included in his aura. 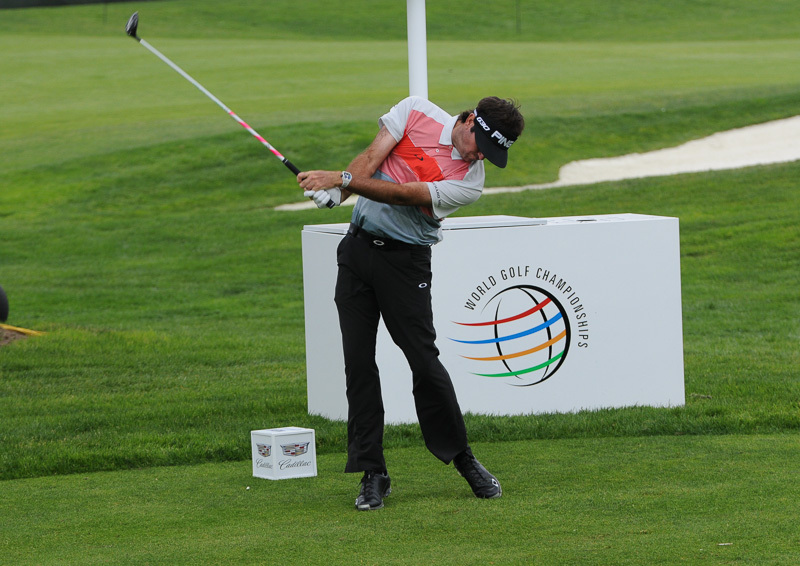 His swing (also seen below) was flat out awesome. He takes it WAY back and then the cracking sound confirmed that it was a monster hit. Rory, the PGA Player of the Year in 2014, told his handlers that he was hitting the ball as well as he could remember. Then he proceeded to hit the post at 175 yards twice in a row. 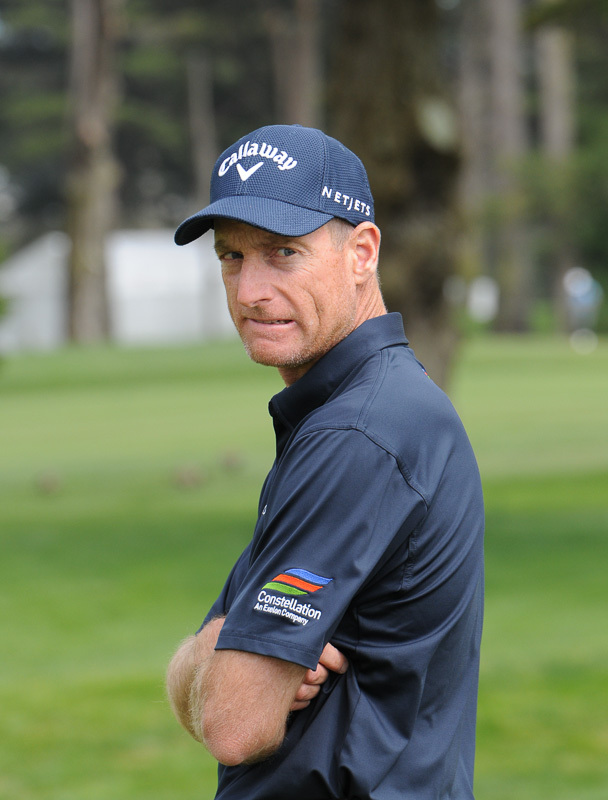 Furyk looked clearly uncomfortable with some of the younger guys. But he sure hits it pure. His caddy, Fluff, is a spitting image of Wilford Brimley. 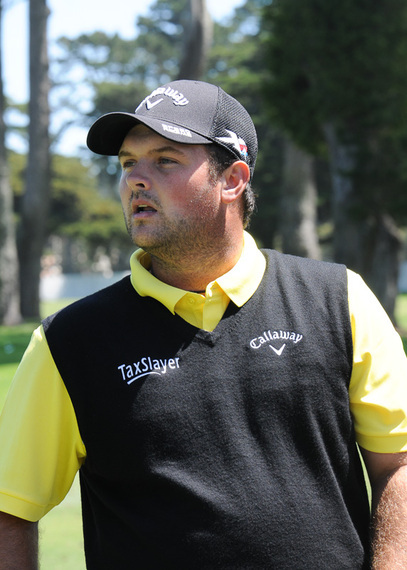 Patrick Reed, 24, has won three tournaments in the last seven months. He is similar to Speith in terms of being the future of golf and he spanked the ball harder and farther than anyone. 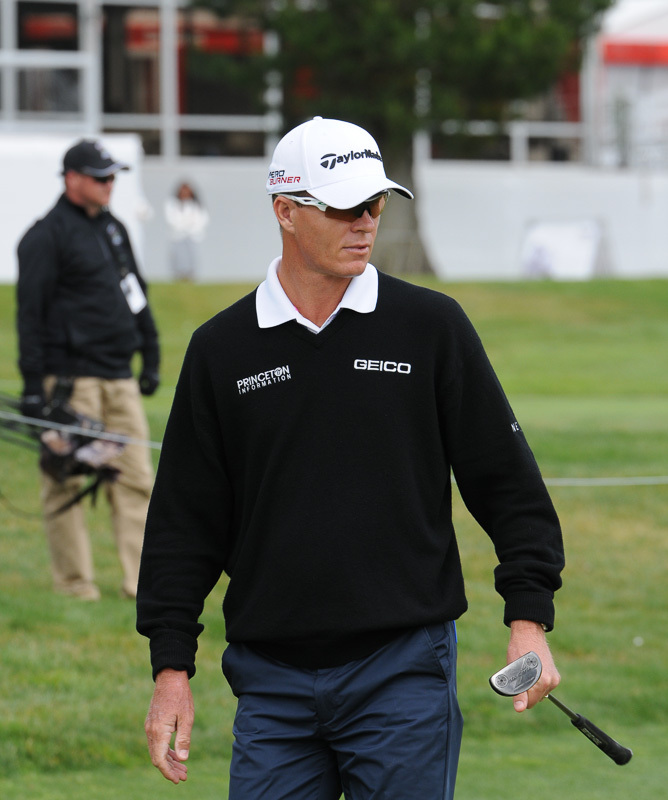 The guy looks like what a a pro golfer should look like to me. Henrik Stenson, with the white sunglasses, walked around like he owned the place. I would recommend if you ever can pull it off, go to the practice round(s) on these tourneys and check these guys out. No crowds and their easy, light attitudes make for a really nice experience!